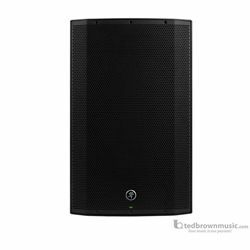 Delivering proven, chest-thumping low-end with Dynamic Bass Response technology and wireless control and streaming in an all-new professional enclosure; the 1300W Thump15BST 15" Advanced Powered Loudspeaker takes Thump to a whole new level of versatility. The built-in 3-channel digital mixer features Vita+ preamps with 3-band EQ per channel, application-specific speaker modes, user presets and more. Wirelessly link Thump Boosted loudspeakers together to create an amazingly simple, high-output wireless music playback solution. Plus, you can control it all via the Thump Connect app. Redesigned from the ground up; Thump Boosted offers the class-leading performance, flexibility, and convenience you need to boost your performance.